Although several projects remain on our "to do" list, there have been a few changes over the fall/winter we hope will please our customers as we officially kick-off our first full golf season! Mature pine trees planted on hole 6 and throughout the course! Trenching and draining, keeping the low spots dry. NOT SHOWN IN PHOTOS: New outdoor patio area and clubhouse improvements! 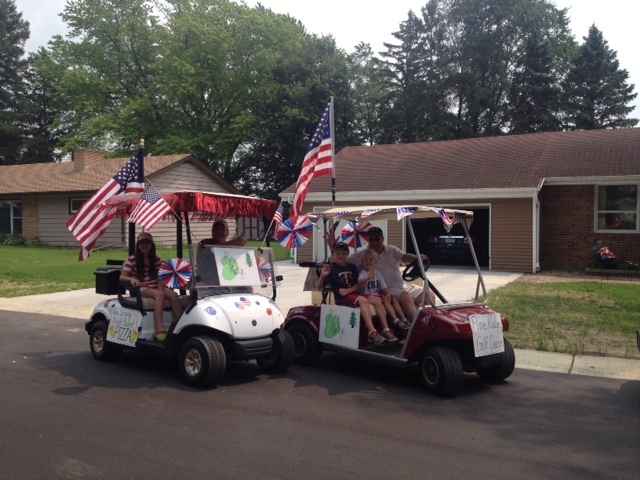 Pete and Debbie Wood, Kevin and Jen Lanners and Scott Vanvoorhis took on their new adventure July 1, 2015. 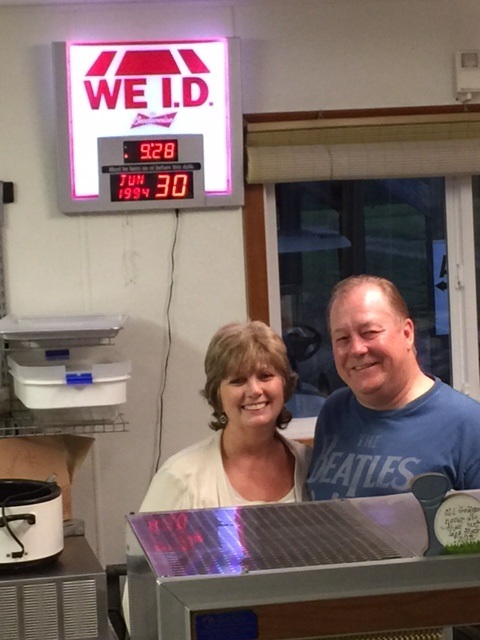 Previous owner and baker extraordinaire Bonnie Wagner stays on board and provides significant assistance throughout the remainder of the year. We are pleased to announce that Bonnie will continue with us in 2016 - and she will continue to bake her signature cinnamon /caramel rolls, pies and homemade buns! In addition, our veteran course superintendent Tom Shea is back so you can relax knowing the course is in good hands. 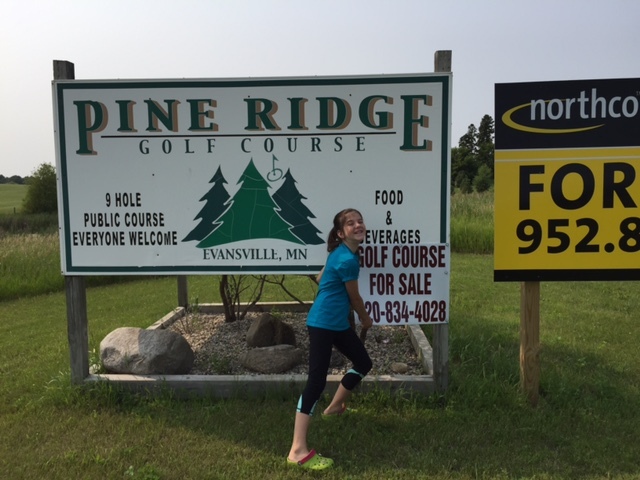 Carly Lanners makes it official with the removal of the "For Sale" sign. Debbie Wood celebrates her birthday with the purchase of a golf course! 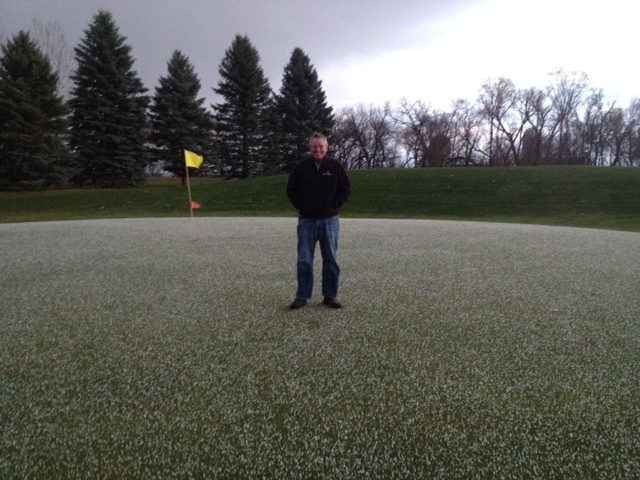 Scott VanVoorhis visits from CA during the July hail storm. Welcome to MN Scott!